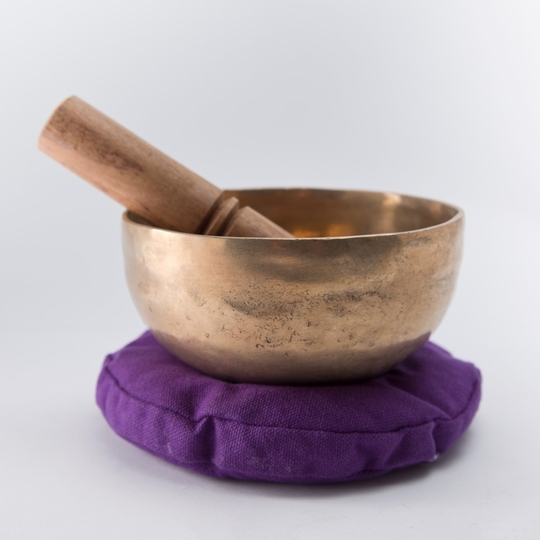 Singing bowls have been used for centuries to support meditation and space clearing. Their overtones are highly effective for creating a tranquil, peaceful atmosphere. This hand-hammered singing bowl is made from bronze and produces full, rich tones. First, rest the bowl on it accompanying pillow. 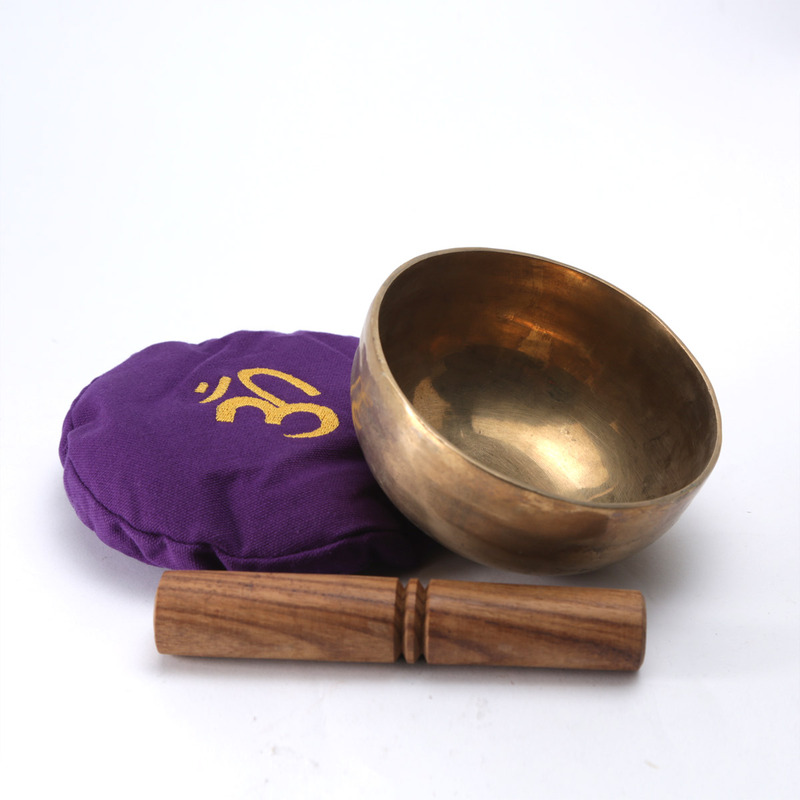 By striking it like a bell with the wooden puja stick, the bowl is like a gong, sending out a soothing, reverberating wave of sound. 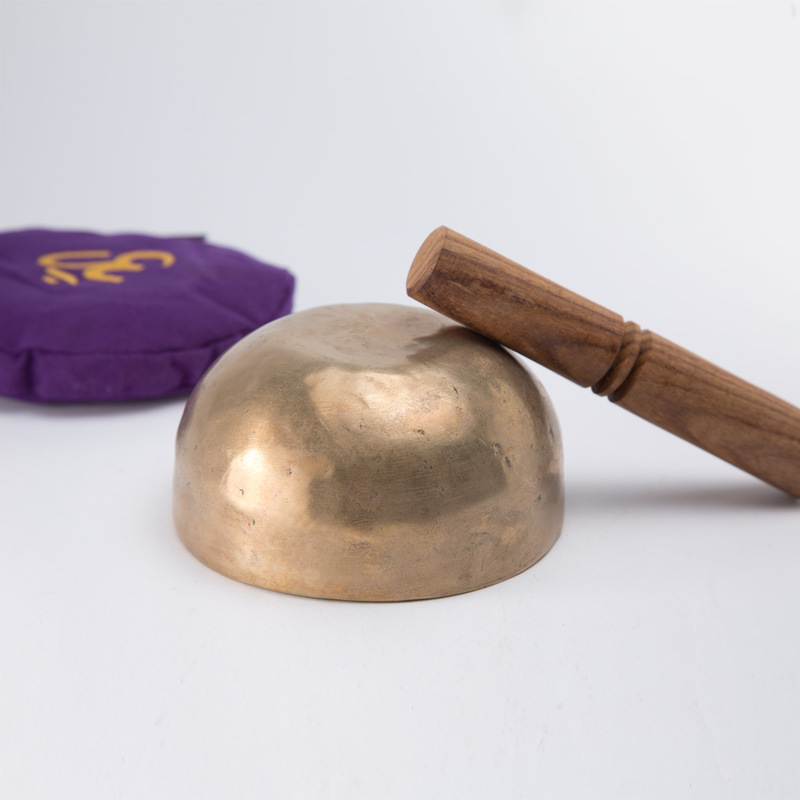 You can also 'play' it by pulling the puja stick quickly and continually across the outside rim of the bowl to create deep, soothing sounds. The lovely bowl comes with a pillow and a puja stick.